Will Erik Karlsson, Brent Burns or Victor Hedman lead the league in scoring? Or will a dark horse emerge? Here are your top 30 fantasy hockey defenceman for the 2018-2019 season. 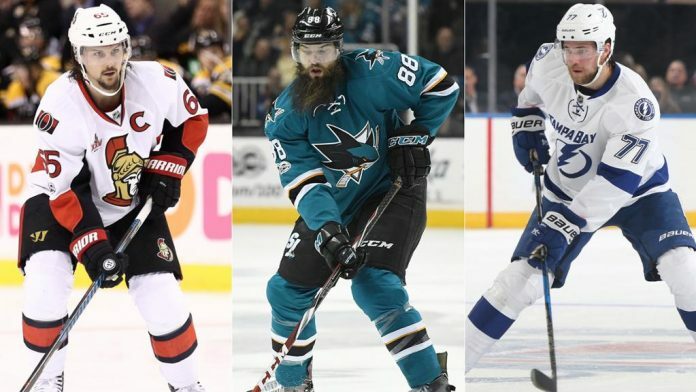 View point projections for the top defenceman for the 2018 – 2019 season. Will Erik Karlsson or Brent Burns lead all defenceman in scoring again? Or will Victor Hedman be the top point getter? For your defensive sleeper pick, Seth Jones could sneak into the top 5 in defenceman scoring, he is on a good team, plays the power play and improves every year. Will Kris Letang stay healthy and content to be the top scoring defenceman?